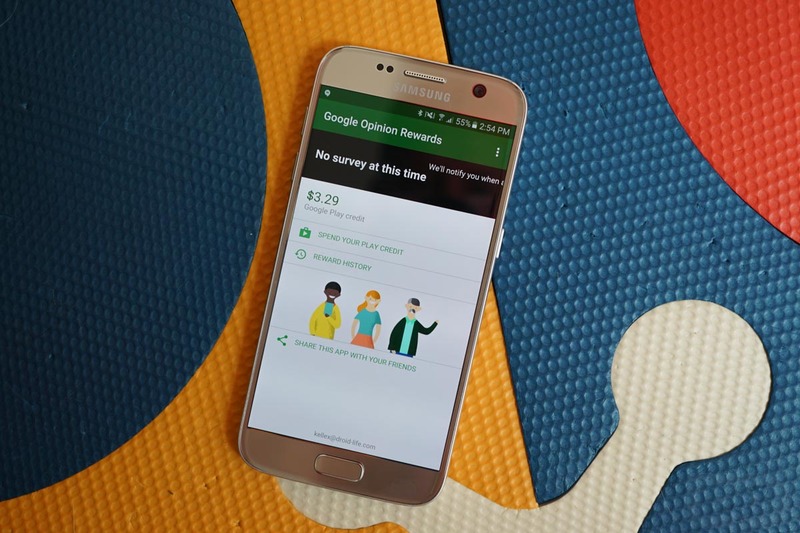 One of our favorite apps of all time, Google Opinion Rewards, received an update today, which means we have an excuse to talk about it and remind you that using it is a probably a good thing. The update introduces availability to Denmark, Norway, and Sweden, in case you were wondering, along with a slightly different UI that may even have been a server-side switch. What is Google Opinion Rewards? It’s an app that wants to give you free money (in the form of Google Play credits) to spend by asking you to answer short 1-4 or 5 question surveys. It probably – because it’s tied to Google and your Google accounts – knows far too much about you and may creep you out with some surveys, especially the location-based ones, but it’s worth it for most of us who don’t mind a little Google stalking. In a few years worth of surveys, between two accounts, I’ve totaled over $50 in Play credits. Some of our readers have hit much higher numbers than that. See for yourself. The surveys are often very short, some even only a question or two long. I typically get surveys that are based on places I have visited in the past, asking if I would rate the place. Some people see surveys related to upcoming or future products as well. It’s also kind of fun to see how much you get paid for each short questionnaire. So yeah, if you don’t mind feeding Google and its advertisers even more of your life’s info to earn some free credits, be sure to download this.